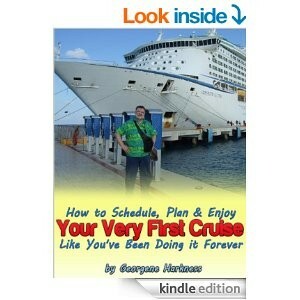 Want to Cruise? 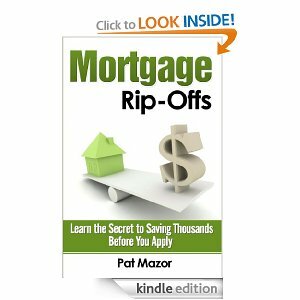 Avoid These Money Traps! Cruising can be one of the most economical modes of vacationing, considering what you get for your cruise fee, namely, a floating luxury hotel that travels to several ports. All of the meals are included (well, sort of… see below), and you only have to unpack and re-pack once. Many of the amenities are no extra charge. 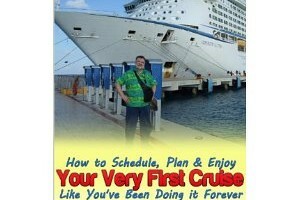 Cruising has been one of the favorite activities that my wife and I have done for the last several years. My wife likes it even more than I do — she wrote the book that you see pictured in the upper left of this article. Oh, yes, that’s me in the green shirt. However, there are still a lot of money-sucking traps waiting for cruisers. Some of them are blatant rip-offs, but there are a few that you just need to plan for to minimize the impact on what should be a stress-free week (or longer) of shipboard relaxation. For starters, be aware that all cruise prices are quoted as “per person” but almost always assume double occupancy. So when you see a $800 cruise, just mentally double that, because you will probably pay $1600 for that cruise, even if you are traveling by yourself. There are a few cruise lines that are beginning to cater to single travelers with smaller cabins set up for just one occupant, but those are the exception. Sometimes, the cruise line will connect you up with another cruiser to share a cabin, but rooming with a total stranger for the duration of the cruise might not be something you want to do. Things like ice cream and sodas (outside of meal times) also generally cost extra. There are a couple of ways to reduce the cost of these items. The way I do that is simply not eating outside of the dining room at mealtime, but one of the attractions of cruising for most folks seems to be non-stop eating. Some cruise lines offer beverage packages that include generous (sometimes even unlimited) quantities of soda and premium juices. The price on the beverage packages may seem high, but if you are going to drink lots of carbonated beverages or fruit juice, they will save you some money. While many of the amenities are no extra charge, there are some that cost a lot extra. If you are fond of alcoholic beverages, you can easily rack up a drink bill that exceeds the cruise fee. And the cruise line will not allow you to bring your own, since that’s a major source of income for them. Occasionally, there will be activities that feature free drinks, but those are a bit rare. Personally, I generally choose not to drink on board. Even the drinks in the tourist traps are cheaper. There are sometimes beverage packages that include alcoholic drinks. I’ve never tried any of them, since I wouldn’t drink enough to make them worthwhile to me. A trend that I find a bit disturbing is the “premium dining” venues. So far, I have not tried any of them to see if they are worth the extra $20-$50 per person, but I have recently noticed that there are some extra-cost items on the menu in the regular dining rooms. I suspect that the cruise lines are trying to move to more extra-cost dining, and I think that they would probably like to get rid of the “free” dining business model completely. Probably the only reason they have not already done so is that a large percentage of cruisers (including me) would start opting for other types of vacations. The trinkets and souvenirs available on a cruise are grossly overpriced. In fact, just about any item in a shipboard shop is going to cost you about 3-4 times the cost of that same item almost anywhere else. There are a few exceptions, but not many. Plus if you look carefully, you will see that most of the souvenirs, even in the tourist traps in the various ports, are made in China. What I have typically done for souvenirs is to wander beyond the tourist trap, and just get a couple of dollars’ worth of the local currency, usually in coins. Ok, I have to admit that I’m guilty of buying a few overpriced T-shirts and hats, too, but I budget for those items before I go. I generally don’t go on many excursions, but I have enjoyed a few. Be aware that the excursions that you can book on board will cost more than those you can arrange for yourself. However, even though they are more expensive, I recommend that you get the cruise-sponsored excursions, for one very important reason: If a cruise-sponsored excursion is delayed getting back for any reason, the cruise line is responsible for getting you back on the ship. Otherwise, you are on your own. Believe me, you don’t want to get left behind. If you can possibly get completely away from accessing the Internet while you are cruising, do that! A week of shipboard Internet will cost you more than 3 months of your home broadband service, and the performance will be much slower. Painfully slower! Unfortunately, Internet is something that my wife and I don’t want to do without for a whole week, so what we do is get one “unlimited” account and share it. Here’s a big hint: Do your websurfing or email access very early in the morning, while most of the other cruisers are still asleep. I have found that I can get more Internet stuff done between about 5 a.m. and 7 a.m. than I can in the other 22 hours of the day combined. Occasionally, you can find an Internet cafe in a port, where you will find reliable broadband for about 5% or less of the cost aboard ship. However, you might not really want to spend your port time that way, and the Internet cafes are never in the tourist-trap areas, so you will have to do some traveling beyond those areas. I consider it a great blessing that gambling never had much appeal to me. I try to avoid the shipboard casinos completely because they always stink like ashtrays. But even if the second-hand smoke doesn’t bother you, note that the payouts on the shipboard casinos are lower than you will find just about anywhere else in the world. A lot lower. Another item I would like to mention is the shipboard photographers. I have noticed that starting about two years ago, the “official” photographers suddenly got a lot less pushy. I suspect that there were some high-profile complaints about that. Needless to say, the photos available aboard your cruise are grossly overpriced, and you can probably get photos you would like better using your cellphone. I have even gotten our dinner waiters to take photos of my wife and me with my cellphone. Unless you are willing to go through the hassle of getting an international SIM, just put your cellphone on “airplane” mode for the whole trip. Otherwise, you can come back to a really nasty surprise in your cellphone bill for international roaming. I just accept the fact that I’m not going to be making or receiving any phone calls at all while I’m cruising, and I actually like it that way.